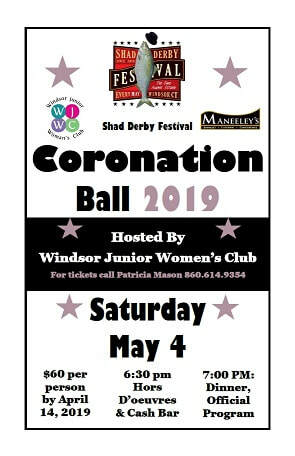 The Windsor Junior Woman's Club is proud to host the 54th Annual Shad Derby Coronation Ball. This event is the last night of judging for the Shad Derby Queen Candidates, and before the evening ends the Shad Derby Queen and her court are announced. You are cordialy invited to join us at this year's ball!